This page is dedicated to some of the work I've done for AIKU. 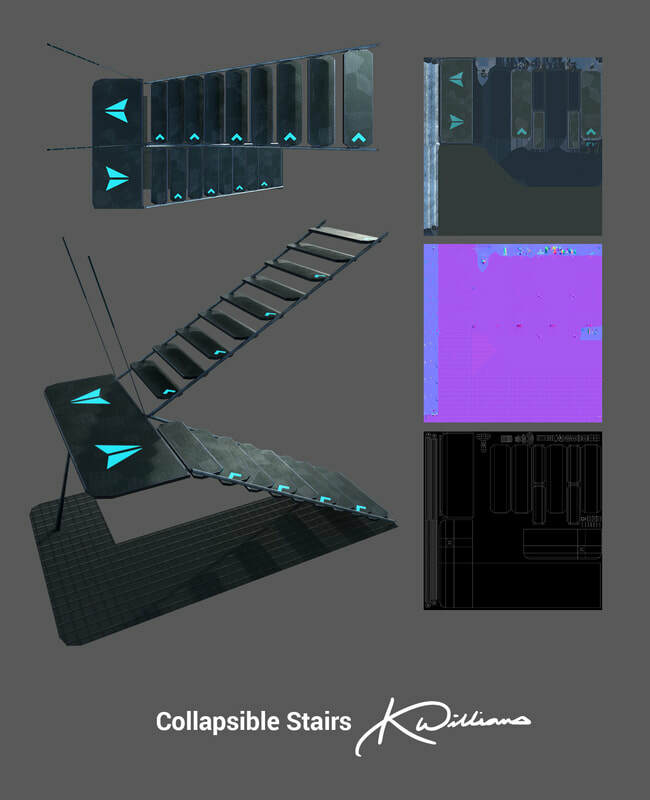 A game created by Columbia College of Chicago's Large Team from September 2017 through May 2018. At the beginning of the project, I worked strictly with the character artists, creating and shaping one of our three main characters. While that work is not represented on this page, more information about my character work can be found in the MISC section on the main page. So, you might be thinking to yourself... What is AIKU? Feel free to go to our official website to learn more. A futuristic medkit decked out with some cutting edge injectables, tonics, and plasmoid pills. 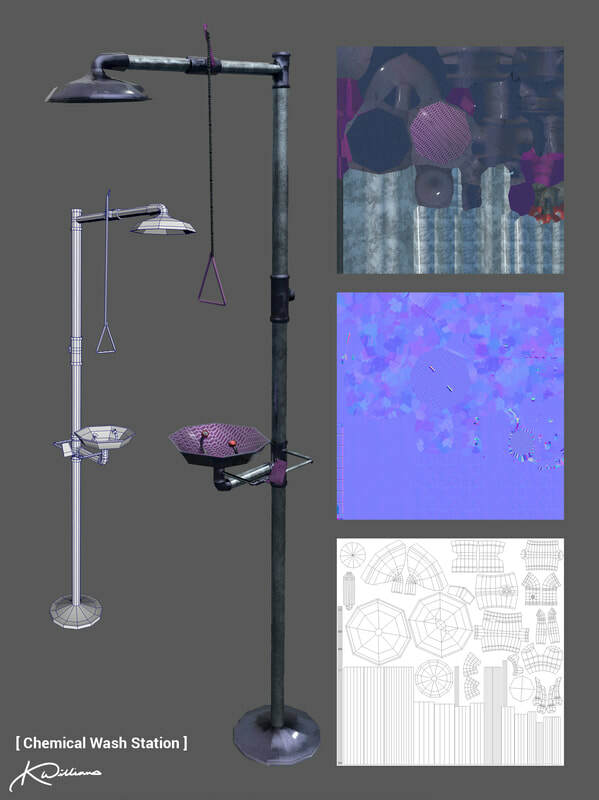 This asset was created to alleviate some of the issues our character Norma was having with her health. They are scattered across the ship in various locations, left behind by the crew. These fancy stairs are the primary mode to get up and down the decks of the ship, R.V. Minerva. When they are not powered up, they collapse back into the floors of the ship to stay out of the way of crew and caretakers. You never know what is going to happen on a ship full of scientists experimenting. So, this helps people from going blind in the case of an accident! When you are in space with finite resources, its critical to reduce, reuse, and recycle. Thus, a water treatment tank helps the endure for longer. 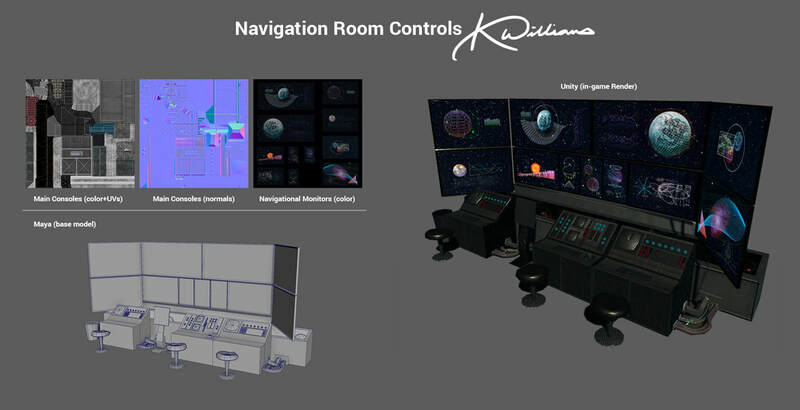 No ship is complete without a state of the art navigation system. 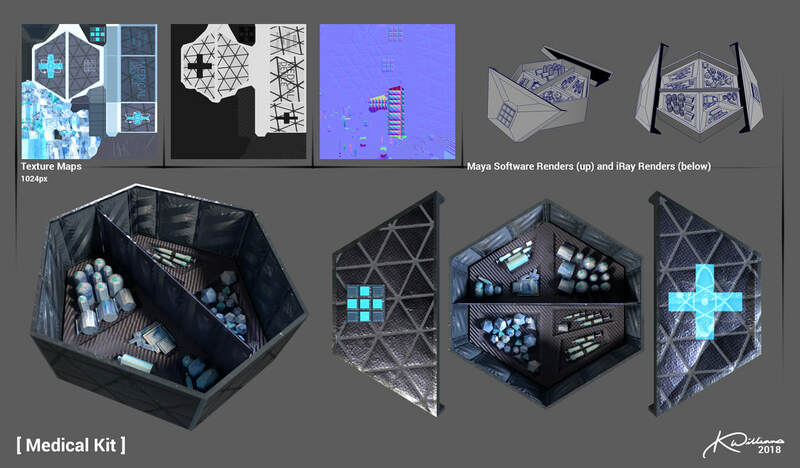 I had the pleasure of modeling this and creating each of the various screens, too. If you are interested in seeing the screens more closely, please click here. The main powerhouse of the ship, R.V. Minerva. It's also unfortunately the first thing to break! Such a shame. 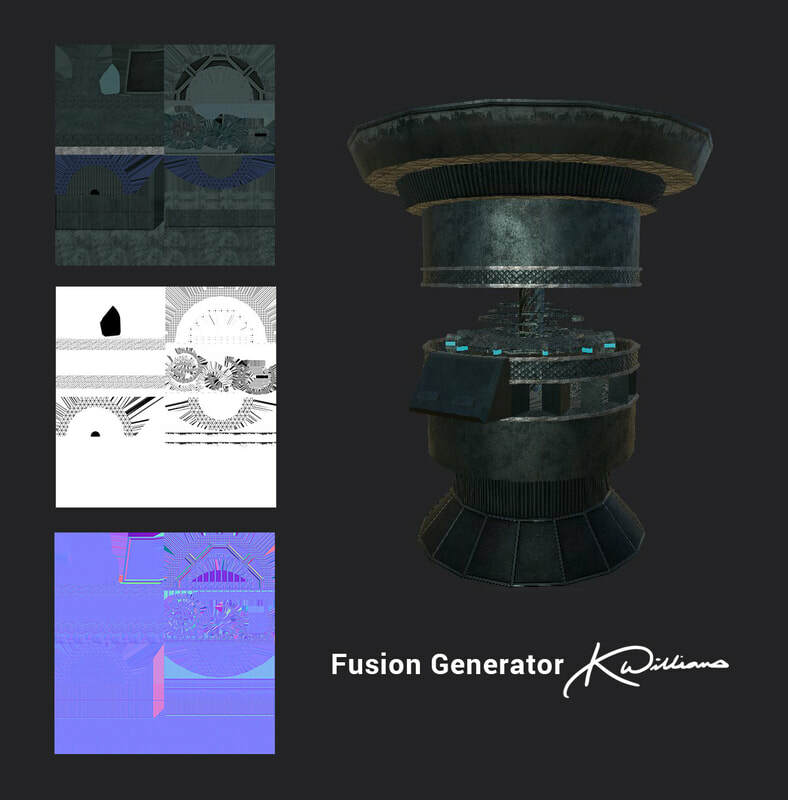 This beauty has a crystalline power source at its center which causes a magnetic fluctuation disturbance allowing the outlying mechanics to spin rapidly, generating power.